There are many truck variations and combinations to choose from for your warehouse, and even experienced material handling professionals will find that there are a lot of different forklifts and options to compare. 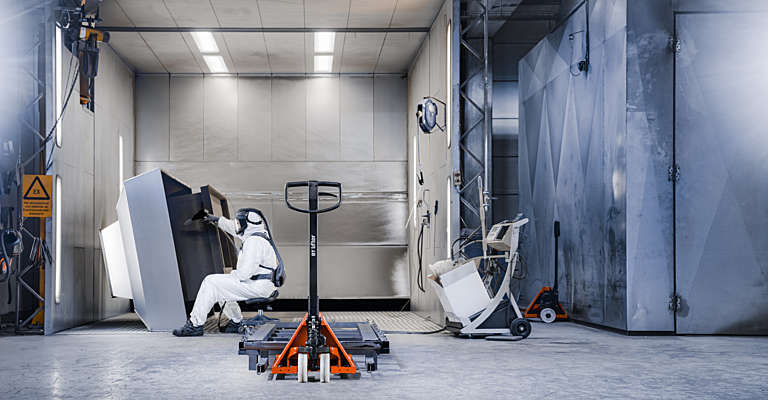 That’s why we’ve selected some trucks out of our range that not only fit perfectly in retail environments, but also complement each other seamlessly in the different stages of the handling process. If you’d like more details after reading you can download the full range of products and solutions we offer. Hand pallet truck - This is a must-have in every warehouse or storage area. With a few hand trucks stationed at key locations around the warehouse, relocating boxes, case goods and appliances become an easy task. Not to mention that hand trucks are a back saver by minimising the need to lift heavy items manually. 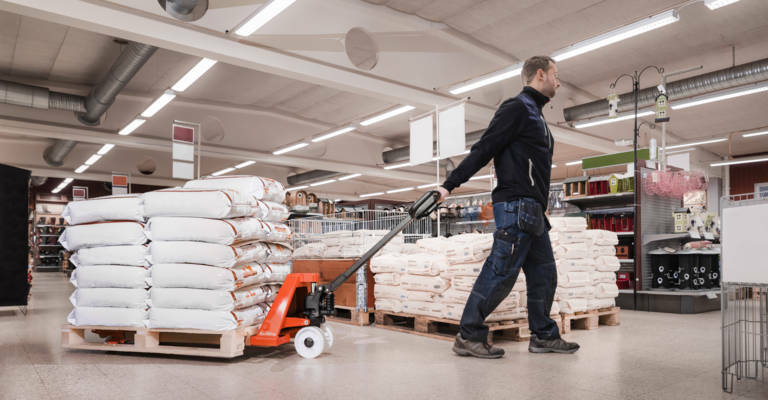 Powered pallet truck - To save time, your operators should be able to travel the distance in your warehouse with ease, ideally with a powered pallet truck. Even better, they can easily enter and exit the arriving lorries with these compact trucks. Tip. 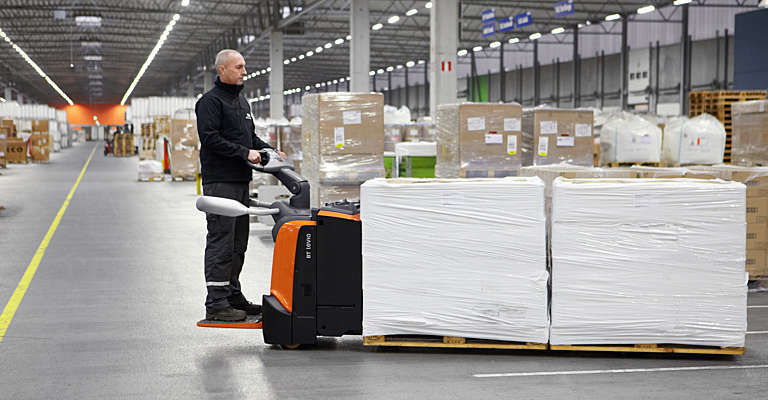 If your warehouse has a long distance to bridge, choose electric pallet trucks with a platform to get more work done in a short time span. 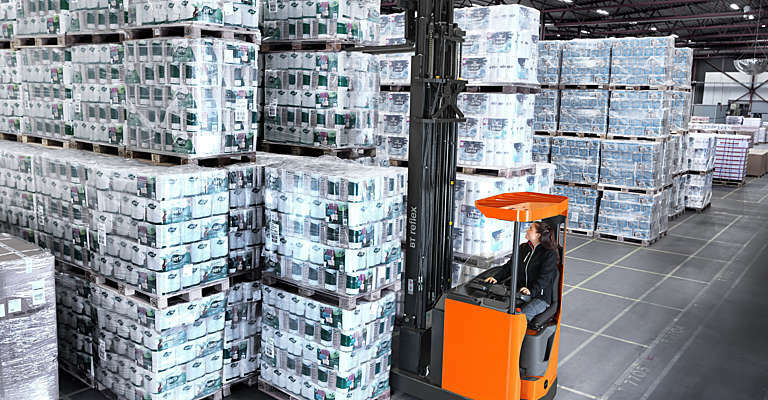 Powered pallet stacker – if your goods need to be stacked while loading/unloading lorries you should consider a powered stacker, so you can combine these actions and save time. Tip. To find out the lift requirements for your operations, simply locate and measure your highest shelf and then add another 15 to 20 cm to your measurement. 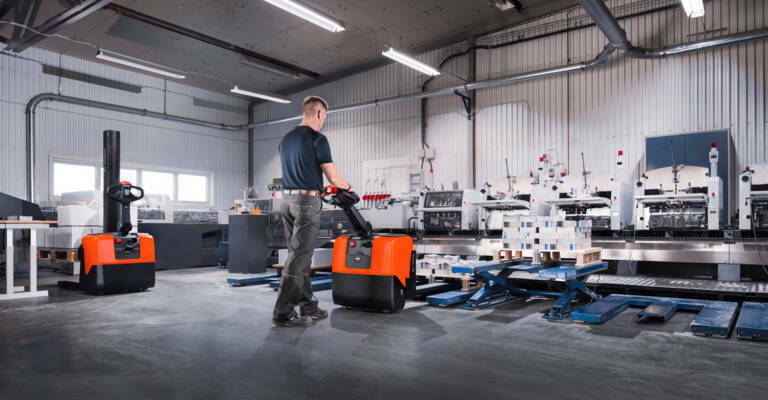 Compact reach trucks: if you have a large amount of goods to stack together but don’t have a large warehouse, you can choose a truck with a narrow chassis that’s specifically designed to work in narrow areas, such as block stacking or drive-in racking. 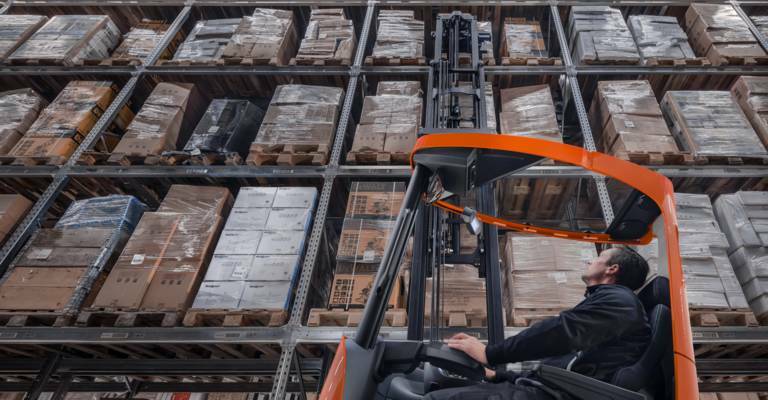 Reach trucks with an ergonomic tilting cabin: a truck with tilting cabin is an evident choice if ergonomics is key for you and your drivers. Thanks to this feature, operators don’t strain their neck when lifting a load in racking located several meters high. Instead, the tilting position makes it easier and safer to see where to stack the pallets exactly. 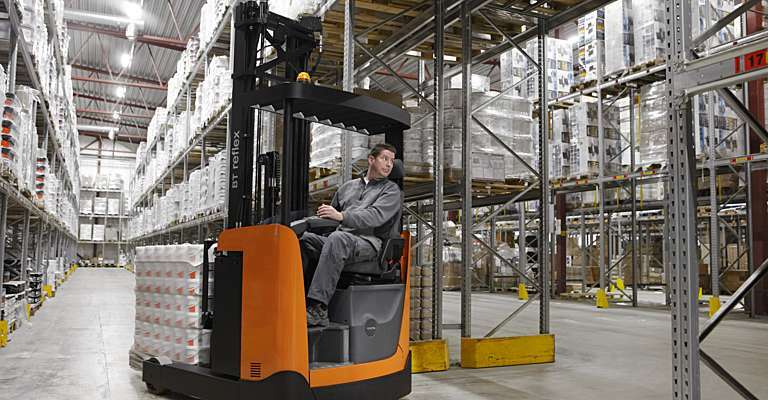 Reach trucks for outdoor use: reach trucks are also available with special tyres for outdoor use if your operations require some stacking applications outside. After all the goods have come in and are put away, your drivers can start picking the goods needed for each store from the lower levels. For this first and second-level picking, order pickers are perfect for the job; especially our BT Optio L-series, as they have flexible E-man steering. Order pickers with elevating platform: if your operations require high-intensity picking at the lower levels, a platform can make it easier for the operator top pick items from higher levels onto the truck when selecting the right items. 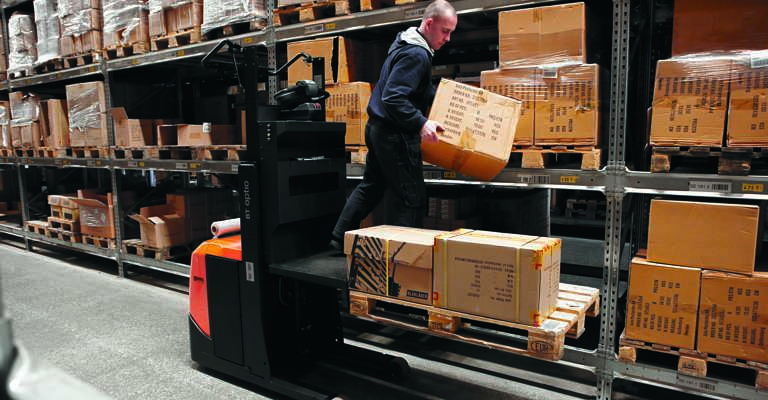 Order pickers with a walk-through platform: a walk-through design is ideal as it allows the operator to place the selected items directly on the pallets on the forks. Semi-automated order pickers: to boost productivity, you can even implement order pickers that can be remote-controlled. While the forklift operator does the picking, the truck can cover the distance on its own. After all the orders have found their way back to the marshalling area, they can be packed and shipped to the according shops, to arrive there right on time! This is just one of the many ways in which our Toyota warehouse trucks can work together to contribute to your operation. 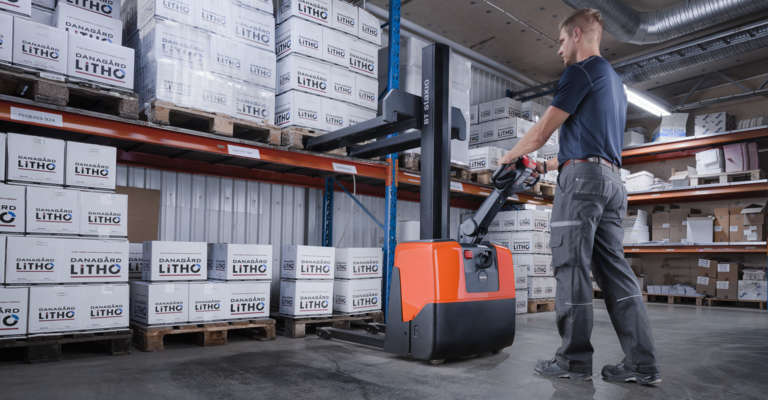 The Lifter range of hand pallet trucks are customisable, making them suitable for a broad range of material handling applications. 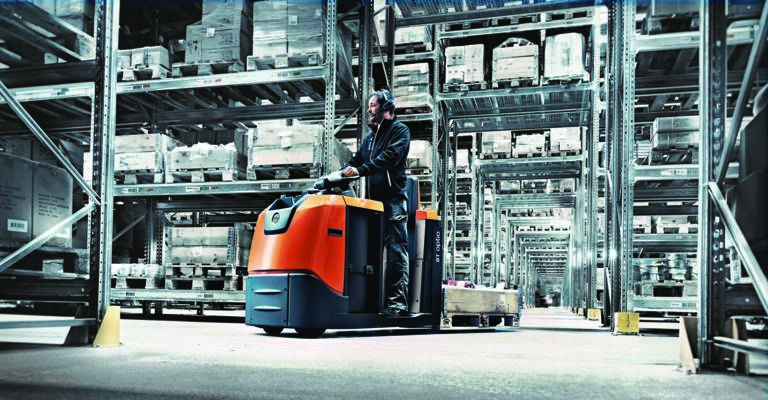 The series of powerful reach trucks offers high acceleration and exceptional driveability for optimum pallet movement.